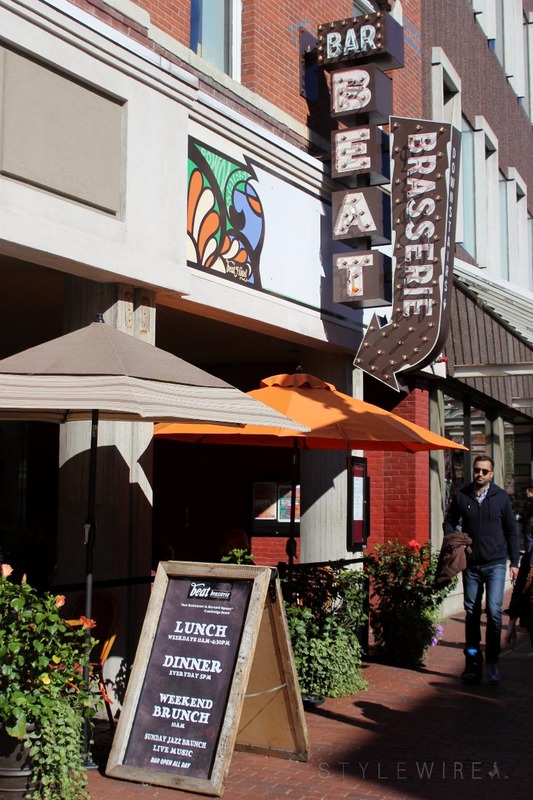 Known for it's seasonal dinner menu and weekly live music performances, Beat Brassiere in Harvard Square (also known as the Beat Hotel) recently expanded their menu offerings to include lunch from 11am-3pm. I stopped by for a taste of their new menu and a sampling of their wines. While their lunch menu was excellent (and a great option for vegans, vegetarians, and health nuts alike) I was blown away by their wine selection. 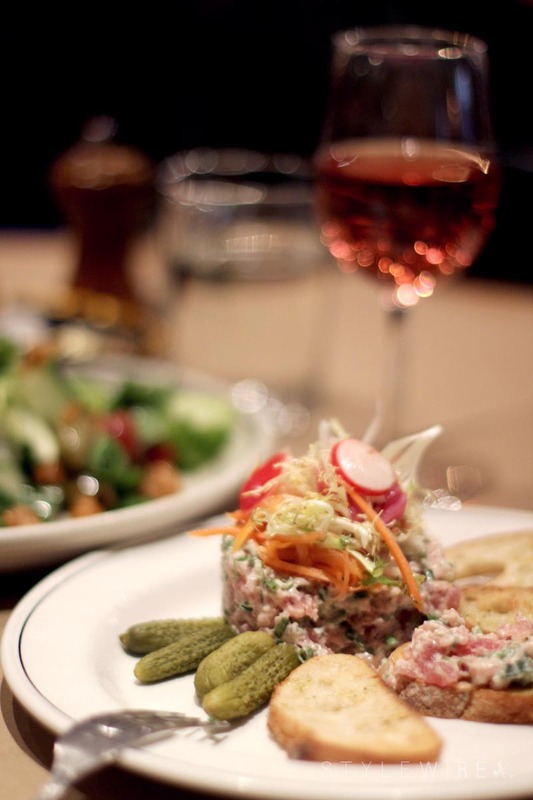 Beat Brasserie boasts an excellent selection of artisanal wines on tap, a concept unlike any other in the greater Boston area. Boasting a selection of over 35 wines, many are created exclusively for Beat Brasserie and are produced by some of the top small batch wineries in America. I enjoyed a rose on tap alongside a sampling of their lunch menu. 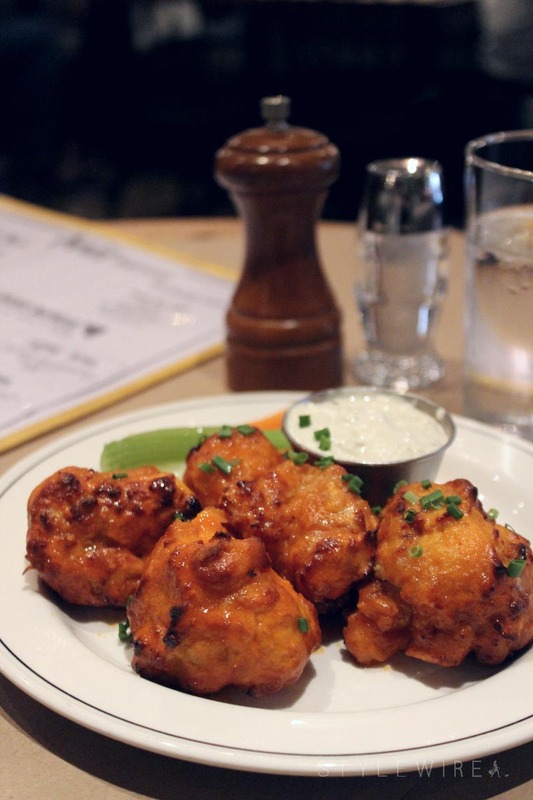 I loved the Buffalo Cauliflower; not too spicy, lightly breaded, and packed with flavor. 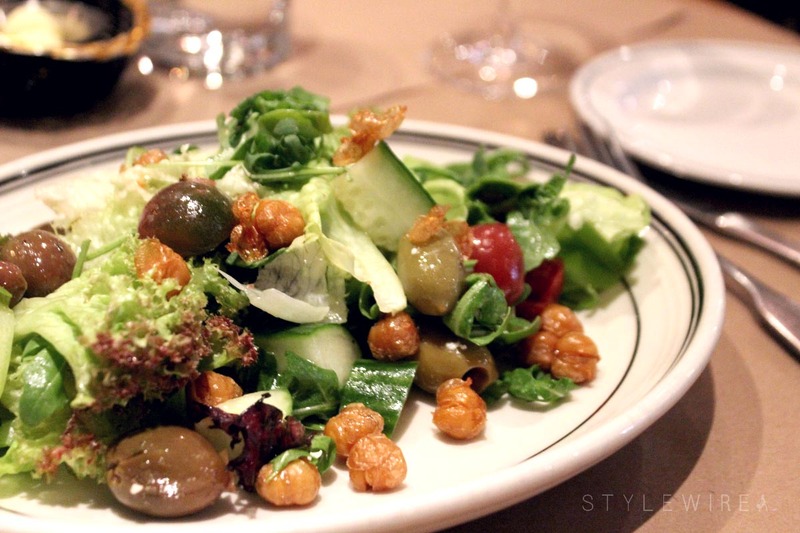 The House Salad and Tuna Tartare were a great pairing for a light lunch, but you can bet I'll be back for the sweet chili barbeque lacquered baby back ribs. 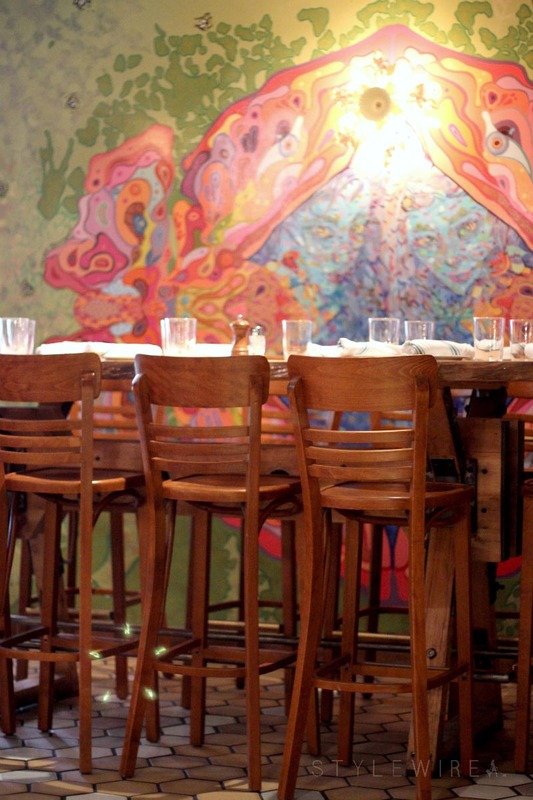 They've been on the menu since day one, but it's not just the food and wine that this eclectic Harvard Square restaurant is known for-- Beat Brassiere also features live music from up and coming and local musicians. So stop by for lunch, grab one of their many delicious wines on tap, and return for dinner and live music!